The Epic Games Store have now made their upcoming development list public through Trello for everyone to view. It includes such features as wishlists, mode support and much more. 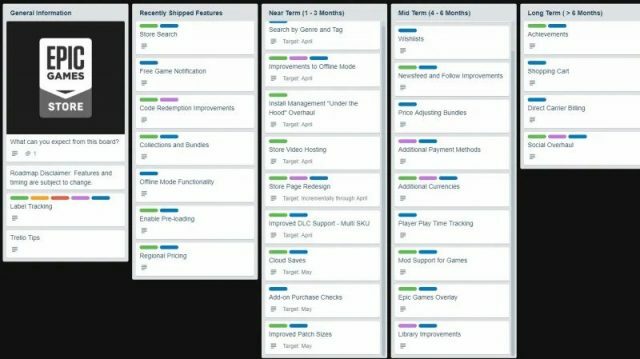 Last week the developers of the Epic Games Store announced they have made a public Trello, outlining features that are on the horizon for their online store. A lot of these aspects have been requested by users, which includes wishlists, cloud saves as well as many other features. These planned updates have been grouped from recently added, to features that will arrive in a few months, to long-term goals. The board also shares patch notes with recent changes to the application including launching store search and preloading. In the short-term goals, the first feature at the top of the list is search by genre or tag. Also on the list is cloud savesas well as improved DLC support. It gives fans a great way to see what the store plans to add in the coming month, as well as how things are coming along. There are a lot of features on this list, some of which seem pretty standard to be included in a store front. But its good that they’re keeping the public updated on what’s to come, as well as what has been prioritised. Just last week Phoenix Point, a new title from the original X-COM creator, changed to a first year Epic Games Exclusive, which has been met with some controversy, especially for those who backed the project on Fig. This isn’t the only title joining the launch exclusives, which looks like a way for Epic Games to compete against already well establish gaming stores such as GOG or Steam, along with their competitive revenue split. 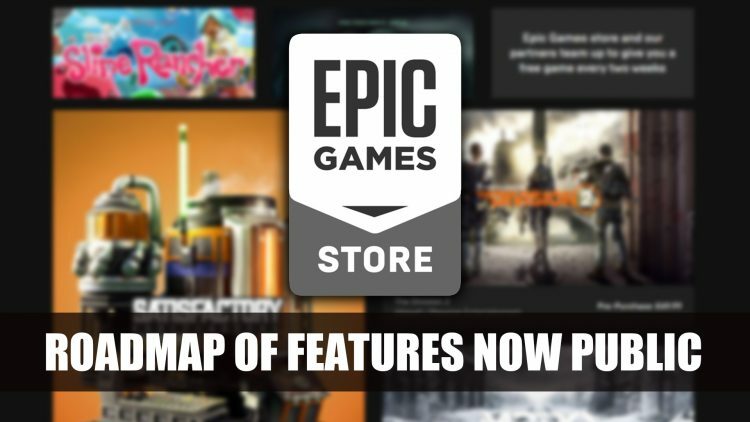 Have you purchased games recently from the Epic Games Store? What are you thoughts on this new gaming platform? Let us know in the comments below. If you want to learn more about why Epic has been making waves with their platform be sure to read next Epic Games To Launch Own Store With A Lower Cut Than Steam. You can also read Cyberpunk 2077 Won’t Be An Epic Games Store Exclusive.